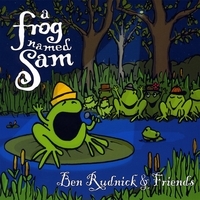 A Frog Named Sam by Ben Rudnick & Friends. Featuring eleven fun, feel-good tunes. Ben Rudnick & Friends have been playing American roots-style family and children’s music since their first CD release in 2000. Expressing a high level of adventurous musicianship, their award-winning recordings contain a unique acoustic sound ranging from folk to bluegrass, calypso, and rock. 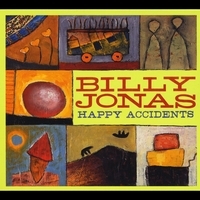 Happy Accidents by Billy Jonas. Billy has lived in Israel and the West Bank/Occupied Territories on a mission as a “cultural bridge-builder.” He is intent on creating person-to-person connections in the interest of healing and peace-making. As soulful as it is witty, Happy Accidents is funky folk music the whole family will enjoy. 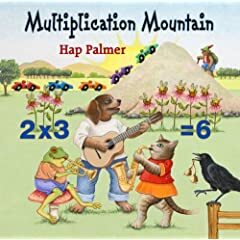 Multiplication Mountain by Hap Palmer. Hap is a pioneer in the area of music and movement in early childhood education. With this newest release, he offers an array of musical styles, helpful liner notes (featuring activity ideas, full lyrics, and a handy multiplication table), and a great way of helping kids – and grownups – memorize their factoring.